The California Institute for Regenerative Medicine, the state’s $3 billion stem-cell institute, continues to put on a clinic on how to redistribute money to politically connected insiders. A recent federal review by the Office of Medicine, a division of the National Academy of Sciences, found CIRM rife with cronyism and conflicts of interest. Almost all members of the CIRM board, investigators noted, are interested parties with a personal or financial stake in the allocation of CIRM fundings, and CIRM directed a full 91 percent of its research funding to institutions with representatives on its governing board. 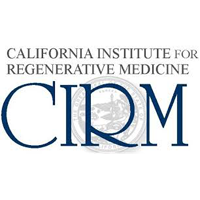 CIRM’s scientific reviewers twice rejected a $20 million grant to StemCells Inc. but after a lobbying campaign by CIRM founder Robert Klein, a wealthy real estate developer, CIRM’s board approved the money. It was the first time that the CIRM board had approved a grant its own scientific reviewers had twice rejected. As the Sacramento Bee noted, one board member who voted for the grant was CIRM vice chairman Art Torres, a former state senator and chairman of the California Democratic Party. 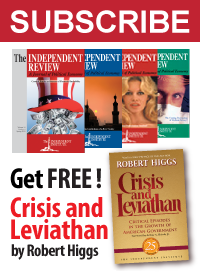 In 2011 and 2012, Klein paid Torres more than $30,000 in consulting fees. What a cozy world, as other developments confirm. Torres is not a medical scientist but in 2009 CIRM made him co-vice-chairman and tripled his salary from $75,000 to $225,000. CIRM took this action when board member, Duane Roth, with an extensive background in biotechnology, was willing to serve as vice chairman for no salary at all. Torres claims his vote was based on merit alone, to give hope to patients who suffer from Alzheimer’s. Taxpayers might recall that in 2004 CIRM founder Klein said that $3 billion in public funds for embryonic stem-cell research would produce life-saving cures for Alzheimer’s and other diseases. A ballpark figure for the number of life-saving cures and therapies CIRM has produced is zero. So the institute can’t generate any royalties that might make it self-supporting. But it can serve as the California Institute for the Redistribution of Money.